It is that time of year again, when educators from near and far make plans to attend the annual eMINTS National Center Conference. This exciting event takes place Feb 26-Feb 28 at the Stoney Creek Inn in Columbia, MO and is designed for anyone who is passionate about learning, teaching, and connecting with technology. If you have never before attended this conference, please accept this invitation. eMINTS teachers, trainers, technicians, and administrators are looking forward to meeting old friends and making new ones. They are preparing session workshops and designing their materials, selecting activities, resources and choosing strategies that can be taken back and used by participants almost immediately and in practically any learning environment. The Keynote speakers will be Dr. Alex Repenning – “‘Excuse me, I need better Artificial Intelligence!‘ Igniting Students’ Intrinsic Math Motivation through Game Design” and Dr. Wesley Fryer – “Mapping Media to the Common Core”. There are also two brand new opportunities that take place during the conference this year. On Wednesday afternoon, there is a pre-conference 2.5 hour session called the “eMINTS Academy”. During this session, eMINTS Instructional Specialists will be showcasing several custom PD offerings. Actual activities from those recent and upcoming sessions will be delivered to participants. On Wednesday and Thursday evening, the eMINTS community will gather to have the very first “Camp eMINTS”. This event will have a guest speakers, group sharing, games and resources that will be sure to allow attendees to help build professional relationships. Both the eMINTS Academy and Camp eMINTS are free! Doug Caldwell, EdS, is an instructional specialist for the eMINTS National Center. Annual eMINTS Conference Resources Available on eMINTS Website: Check out the great resources and materials shared by presenters at the 2012 eMINTS Conference. Many of the presenters have graciously shared the resources, sites, tips, and materials they used in their concurrent presentations at the Conference via the eMINTS website. Visit the website at: http://www.emints.org/conference-2012/presentation-materials/ for more information. eMINTS Discussion List Server Migration: The host for the eMINTS discussion list, MOREnet, has notified us that there will be very small and short outages of the discussion list as they move the list to a new server this week. A specific time for the outage has not been provided, however, it will be a very brief outage and should not affect any future functions of the discussion list. The Weekly Update apparently got caught in the migration and is thus late by a day. Once the migration is completed this week, the interface will remain the same as will all features including the availability of archives and the options to manage your own experiences on the list (subscribe, unsubscribe, request digests, etc.). If you experience any continued difficulties, please email support@emints.org<mailto:support@emints.org> for assistance. These sites are about the early American settlements at Plymouth and Jamestown. They include instructional materials, videos, coloring sheets, games, recipes, and images. Links to eThemes Resources: Pilgrims of Plymouth County, Mayflower Voyage, Famous People: Pocahontas, and Early Settlement of North America. These sites include information on solving high degree polynomial equations. Algebraic concepts covered include: solving for graphing, dividing polynomials, cubics, quartics, and the use of the Rational Root Theorem. Includes links to explanations and interactive applets for solving these types of equations. Links to eThemes Resources: Math: Quadratic Equations: Graphs and Patterns, and Math: Quadratic Functions. 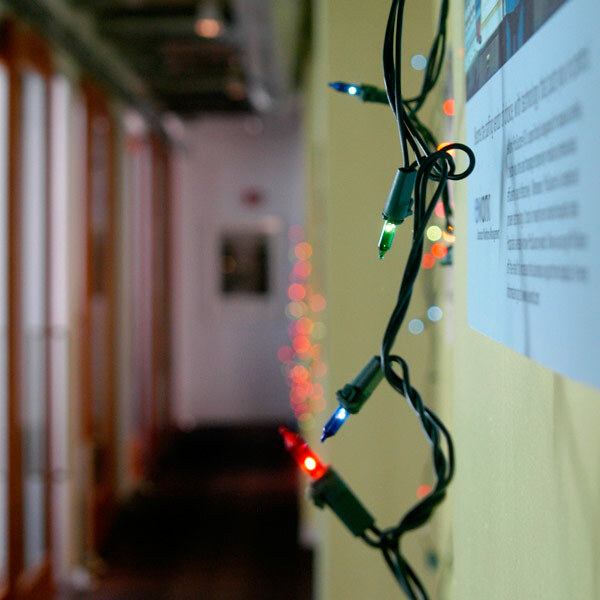 These sites are collections of photo databases free for educational use. There are general image galleries that include various categories and sites with images on specific topic. Clip art is not included. Thursday keynote: Dr. Todd Whitaker – What Great Teachers Do Differently? What are the specific qualities and practices of great teachers that elevate them above the rest? Dr. Whitaker identifies what the most effective teachers do differently than their less-effective colleagues. The goal is for participants to walk out knowing what great teachers do differently; why these things make them more effective; and learn how to immediately implement each of these into their own classrooms and schools. A key discrepancy Dr. Whitaker makes early on is that to find the most effective things great teachers do is to differentiate between what they do and what ineffective teachers do. If we only look at great teachers and schools, it’s hard to determine what’s being done right. Unless we know both what great and not-so-great teachers do differently, it’s hard to determine what we should do to be the most effective teachers we can be. A major issue is that people have no idea how they come across. Dr. Whitaker points out that the issue is not what teachers do; it’s how well they do it. For example, he asked the audience what’s wrong with the phrase “poor classroom lecturer”. Dr. Whitaker helped the group out by limiting the choices to “poor” and “lecturer”. Because we’re eMINTS educators who believe in inquiry and less-traditional forms of teaching, we identified “lecturer” as the problem. As Dr. Whitaker points out that the real problem is that these teachers do it poorly. Check out what the audience had to say. Some of the quotes are particularly juicy. The talk is inspiring as Dr. Whitaker identifies the characteristics that great teachers have. Ironically, the things that make a teacher great are similar to the things that make people successful in the rest of life. Dr. Whitaker’s books and talks are highly recommended. To continue following the discussions happening at the eMINTS Conference, check in with this blog or follow the hashtag #eC12 on Twitter. These 3-hour hands-on workshops are offered from 1:00 – 4:00 on Wednesday, February 22, 2012 to kick off this year’s eMINTS National Center Conference. Wock Your Webpage with Weebly – Learn how to transform your online classroom webpage with Weebly – and you can link to the world! Applying Research-based Strategies Using SMART Products – Participants will gain a deeper understanding of how to connect the Nine Instructional Strategies to your SMART Notebook lessons to improve student achievement. Digital Journey to Authentic Learning – Participants will learn how to blend creativity into student-centered activities and how to use Share software to create and publish in the 21st Century classroom. Unlocking the Potential of Google Apps – Participants will experience the benefits of using Google Apps within their buildings, grade level teams and even with students. Using Open Source Content in the Blended Classroom – explore technical tools that are freely accessible online for public use and how these tools can economically extend your classrooms into the 21st century- expanding the learning experience and opportunities for all. Visit http://www.emints.org/conference-2012/conference-schedule/ for more information on these workshops, keynotes, and all of the breakout sessions offered at our annual eMINTS National Center Conference. Hurry! Registration closes on February 3, 2012. Today is the day. This is the last day to submit your presentation ideas for our 2012 eMINTS Conference! Go to the conference website for all the details. 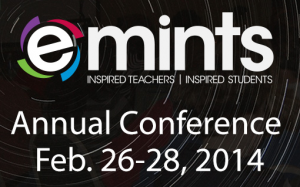 Formerly known as “Winter Conference,” the eMINTS conference is in its twelfth year of providing teachers – mostly in the eMINTS program or graduates – with two days of inspiration and invention. The eMINTS National Center’s 2012 conference planning committee invites the submission of proposals for 1-hour and 2-hour presentations and 3-hour preconference workshops at the 12th annual conference to be held in Columbia, MO, February 22 – 24, 2012. Hands-on and/or participant involvement are strongly encouraged. All presenters are responsible for their own travel and lodging expenses. One presenter per accepted presentation proposal receives free registration for the 2012 eMINTS conference. Certified eMINTS instructional specialists can earn 2 recertification units by presenting at the eMINTS conference. As mentioned above, the deadline for submissions is TODAY! Submit online proposal now ….